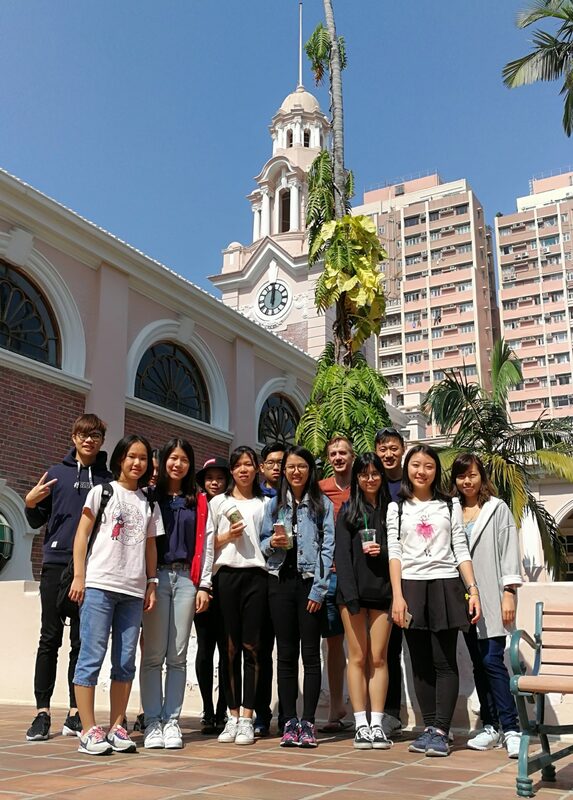 A group photo at the college hall of HKU RCs. 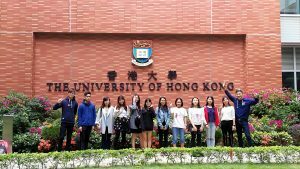 Stanley Ho East Asia College (SHEAC) of the University of Macau (UM) and Chi Sun College (CSC) of The University of Hong Kong (HKU) co-organised an exchange series for students of both colleges to visit each other in November 2017. 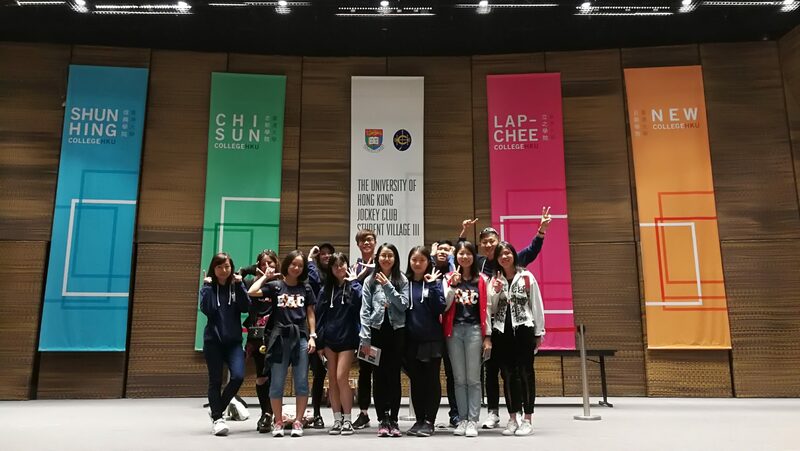 On 4th and 5th November, the SHEAC delegation visited Chi Sun College for activities including tours in the campus and the residential colleges (RCs) of HKU, dialogues between student leaders of both colleges, student activities organised by CSC, and a visit to the local community near HKU’s RCs. SHEAC students joined a multi-cultural session of the Chi Sun Elderly Academy, and learned ethnic dances with the elderly. On the first day, the SHEAC delegation, with 10 students and 2 resident fellows, visited Chi Sun College and participated in the multi-cultural exposure course of her Elderly Academy as one of the educational programmes for her students and the elderly of the local community to interact with each other during weekends and school holidays. After the workshop, the students of the two colleges discussed the characteristics of and their experiences in their own colleges. In the evening, they toured around Kennedy Town near the RCs. 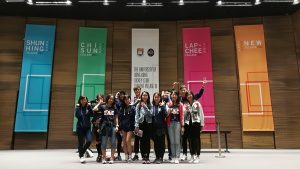 On the following day, the HKU tutors and students provided a tailor-made campus tour for the SHEAC delegation, followed by a lunch gathering that ended the whole trip on a high note. SHEAC and CSC students exchanged their college experiences with each other. 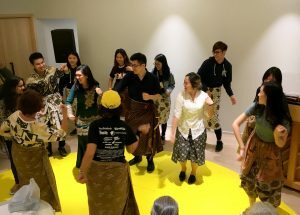 President of SHEAC House Association Murphy Sou expressed that the most impressive part of the trip was the sharing by CSC students from different Southeast Asian countries with the elderly about their national cultures and particularly ethnic dances. SHEAC students believed that this was a very meaningful activity as it could bring both happiness to the elderly while students themselves gaining a deeper understanding of a part of the society. This kind of community programmes is yet still rare among institutions in Macau. 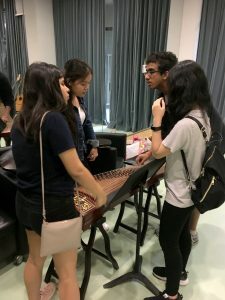 Therefore, Murphy hoped that the College could provide more opportunities for students to participate in and organise this type of multi-cultural activities in Macau. 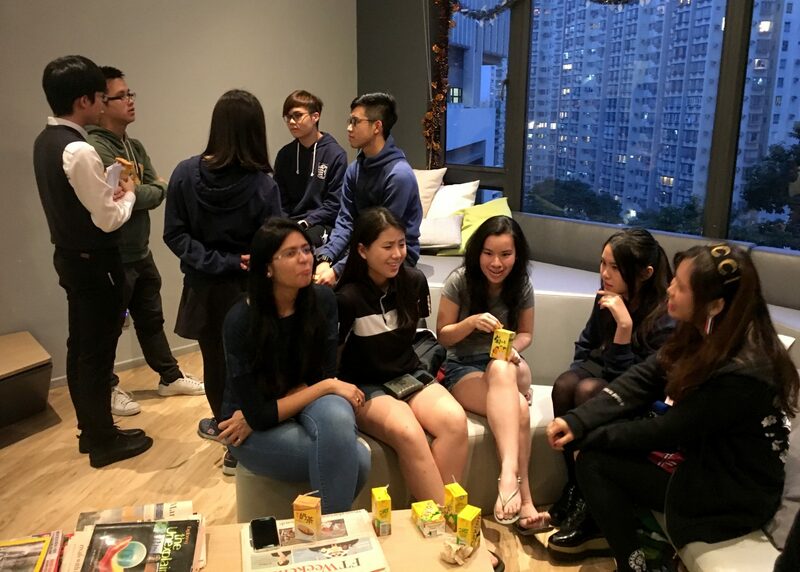 Another student Lily Chung also reflected upon the meaning of university education, and motivates herself not only to learn necessary academic knowledge but also to nurture a stronger sense of civic responsibility during university life. Chi Sun College paid a reciprocal visit to SHEAC. SHEAC students who took part in the exchange programme wished the College to organise more activities that could help students engage into the local community of Macau. The College could also learn from good practice of other institutions for further improvement, hence offering broader and deeper learning for students. 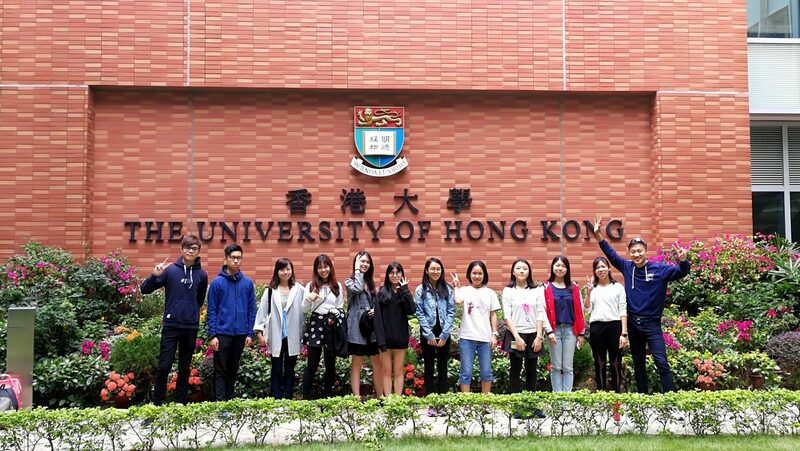 On 18th and 19th November, tutors and students of Chi Sun College paid a reciprocal visit to UM and SHEAC. Both sides further developed their rapport and exchanged idea. The SHEAC students organised activities in the College, guided college and campus tours, and cultural exploration in Macao for the visitors. Group photo at the historic Main Building of HKU. 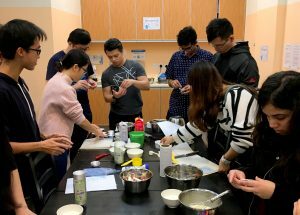 Students and tutors of Chi Sun College joined the Portuguese egg tarts baking activity organised by SHEAC students.